Monkey Baa Theatre Company was established in 1997 by its Creative Directors, Eva Di Cesare, Sandra Eldridge and Tim McGarry. Their first tour was an adaptation of Tim Winton’s ‘The Bugalugs Bum Thief’. In 2017, at the Sydney Theatre Awards, they won a Special Award for 20 years of Outstanding Achievement. 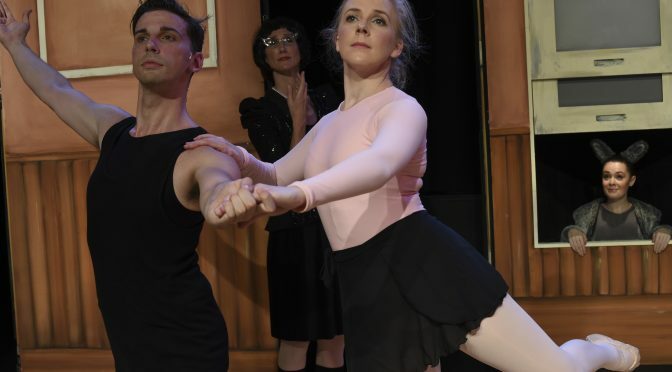 Now the resident company at Darling Harbour’s ‘Lendlease Darling Quarter Theatre’, their latest production, JOSEPHINE WANTS TO DANCE, has opened for a school holiday season, to be followed by a six month national tour. Adorable kangaroo, Josephine, is not content to hop with her fellow marsupials, she was born to dance. 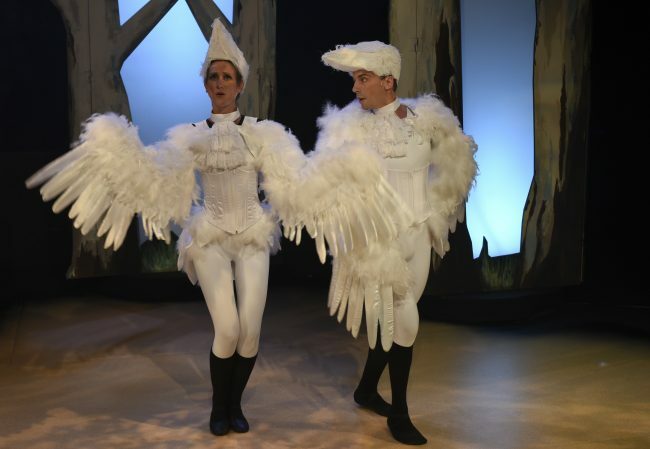 She secretly studies the glamorous, elegant brolgas and the beautiful, chatty lyre-birds, but when a ballet troupe arrives in town, she discovers a lot more. Based on the award-winning book by Jackie French and Bruce Whatley, the play could not have a better creative team and cast. With seasoned humorists, Jonathan Biggins as director, and Phil Scott as lyricist and composer, (who are both well known for their legendary Wharf Revues at the Sydney Theatre Company), the show is sharp and funny and the songs suitably witty, appealing to all ages. Rebecca Hetherington as Josephine radiates elegance, charisma and an optimism that the audience could not resist. The Helpmann, 2005 award-winning musical actress, Chloe Dallimore, is fabulous in her four roles, particularly the mesmerising Russian ballet director. Amanda Laing is vibrant and funny and creates three fantastic characters. Up and coming musical actor, Hayden Rodgers, is also very talented. His eccentric Russian designer is great. Former Australian Ballet dancer turned choreographer, Tim Harbour, has done a splendid job of authenticating the ballet throughout the play. Spectacular costumes and set have been created by James Browne, and sound by David Bergman and lighting by Emma Lockhart-Wilson. I strongly advise that you take your children to see JOSEPHINE WANTS TO DANCE from Monkey Baa Theatre [Facebook] – they will not be disappointed. It plays at the Lendlease Darling Quarter Theatre until the 24th April 2018, with two shows a day, 10.30am and 12.20pm.